A BBC report claims O2 is rushing to launch its own 4G service, following Everything Everywhere’s announcement of an imminent roll-out. EE, the new brand for Everything Everywhere, has announced it will roll out superfast mobile broadband to 16 UK cities by the end of 2012. O2 told the BBC it is "pushing hard on behalf of customers" to speed up the roll-out of 4G services. 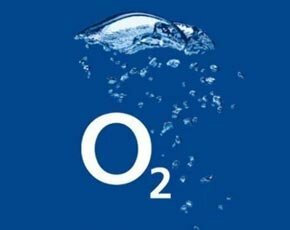 O2 may be hoping to rush the spectrum auction, which is currently scheduled for spring 2013, where operators will bid on 800MHz and 2.6GHz bands. The iPhone 5, however, which launched a day after EE's announcement, only works on three bands, according to the BBC. The latest iPhone works on the 1,800MHz band, which EE will provide its 4G services on; a band that does not work in the UK; and another band which only supports 3G services. This means the iPhone 5 would not work on either band O2 could bid for at the spectrum auction. But O2 and Vodafone could reuse the 3G band for 4G if Ofcom allows this. When Ofcom granted EE permission to move forward with a 4G service less than a month ago, O2 and Vodafone were angered that their rival had been given an unfair advantage and threatened legal action. However, the UK operators agreed to cooperate on launching UK 4G services, rather than take legal action.